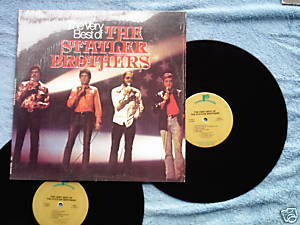 Realm 2V-8077 The Very Best of the Statler Brothers. Two LP set. Tracks include Flowers on the Wall, The Movies, Do You Remember These, Bed of Rose's, Susan When She Tried. This set collects previous recordings from Phonogram. Vinyl is VG; cover with photo, still protected by original shrinkwrap, is VG.